Health Tips| Elephantiasis | Lymphatic Filariasis | Crabs Std | Crabs Disease - GoodHealthTipsOnline: Raw Food Health: Why Spinach is a must for Beautiful Glowing Skin? Antioxidants are basically different kinds of nutrients that protect our body from within by slowing down the process of oxidation by blocking the free radicals present in our body. Therefore, it is extremely important to constantly supply our body with sufficient amounts of antioxidants. Spinach being rich in Vitamin A, Vitamin E and Vitamin C helps in slowing down the process of aging by fighting free radicals as well as the reactive oxygen species. 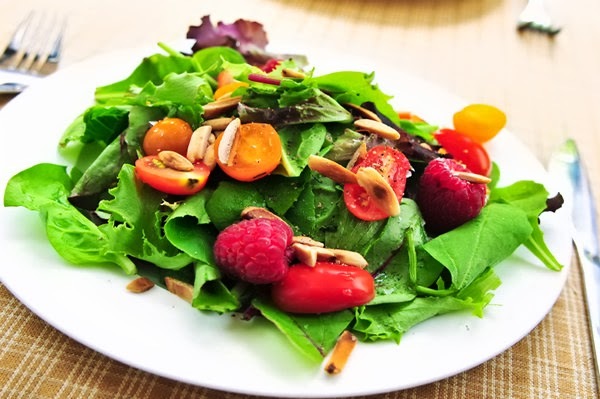 Thus the right quantity of spinach in your daily diet will help you to get a non-surgical fact lift within a short span of time. Spinach is also rich in beta carotene which protects our skin from oxygen damage triggered by UV rays of the sun and pollution. Moreover, it also helps the skin to get back its healthy and radiant glow by removing the toxic substances and aiding in the process of tissue repairing. Thus inclusion of this green vegetable is must in your daily diet. Spinach is also rich in iron, a mineral which is essential for supplying oxygen rich blood cells throughout our body. Since the skin cells in our body renews rapidly, it is in constant need of fresh supply of oxygen. If the skin cells do not get fresh supply of oxygen, it will become spotty, develop wrinkles, start to sag and other signs of aging will also become prominent on your skin. So for maintaining beautiful glowing skin, include spinach in your daily diet. Spinach also has sufficient amount of folic acid and Vitamin K which are essential for maintaining the healthy glow of skin. Vitamin K aids in maintaining the natural elasticity of the skin and stops it from sagging, whereas the right quantity of late in your daily diet ensures acne free glowing skin. Therefore, inclusion of sufficient amount of spinach in our daily diet can ensure a non-surgical face lift and ensure radiant glowing skin. Nutritionists recommend intake of raw spinach is better in comparison to the cooked spinach as then the least amount of nutrients is lost. So treat yourself with a refreshing glass of easy to prepare spinach smoothies every day for maintain a radiant and flawless skin. Your skin is going to going to show its gratitude by glowing naturally all the time and no one will be able to recognize your actual age.